Maintaining your vehicle’s tires is a vital part of your safe and comfortable road travel. EN-TIRE Car Care Center is your one-stop shop for all tire sales and services. Your choice in tires is important to your driving experience. Tires are not just for show or for getting your vehicle rolling, but the correct tires enhance vehicle safety and comfort. Our customers come to us first because they know that we’ll have exactly what they’re looking for. Make us your go-to destination for all tire sales and you’ll never have to worry. Save yourself time and money by choosing our service experts and our vast inventory. You don’t have time to waste when selecting your tires. We know that we’re the best but we don’t feel the need to overcharge you for our tire expertise. Whether you’re driving a compact car, truck, SUV, or RV, EN-TIRE Car Care Center is the tire shop that you need. Our tire sales and service is specialized, providing tires for a variety of recreational vehicles and trailers. Choose us for all of your tire needs. 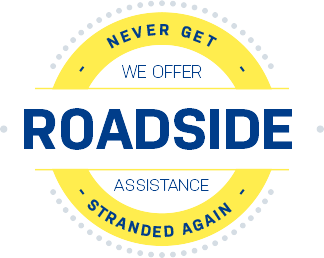 If you need assistance with your tires, then contact us at your earliest convenience. We have a highly qualified team to make your tire purchase effective. We carry all of the industry’s best brands of tires for all vehicles. Our tire experts are ready to answer any questions or concerns that you may have. Remember you’re not looking for just any tire replacement. You’re looking for the right tire replacement. Start here with a phone call to 785-842-5500. We have all the answers and tire solutions you need!